In this article you will understand MSEB or MSEDCL online bill payment method, step by step procedure of the same, different platforms to pay it. 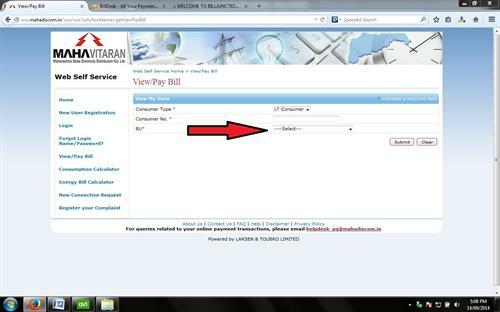 You will also see how to pay MSEB bill online after due date. You will see entire procedure about online MSEB bill payment step by step in this article. You can find how to get Mahavitaran bill copy too here. Now no need to stand in queue for long time for paying electricity bill. You can pay your electricity bill online in few seconds from your home or at office. You need just an internet connection and online internet banking account. 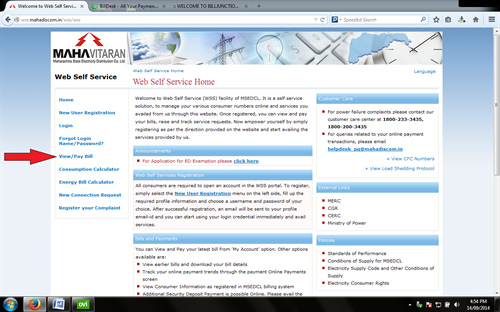 So that you can pay MSEB / MSEDCL bill online. MSEB or MSEDCL (Maharashtra State Electricity Distribution Company Limited) is one of the largest electricity generating company. In this article I will show you how to pay MSEB or MSEDCL bill online. Just few simple steps you have to do and few clicks and MSEB or MSEDCL bill payment done. We all hate to stand in long queues just for paying bills. But from this article you will understand how easily you can pay MSEB electricity bill online. Following are the platforms where you can pay your MSEB or MSEDCL bill online. 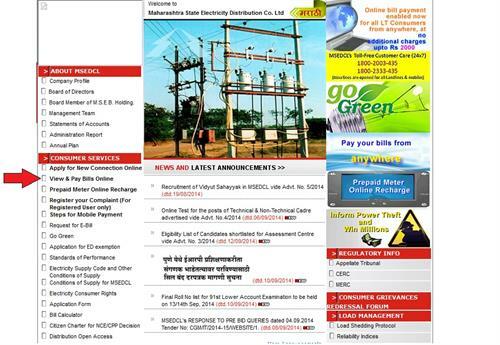 Go to official website of MSEDCL or MSEB (http://mahadiscom.in) . On the main page you will find different categories. Choose consumer services and click on the option 'View and Pay Bills Online'. As shown in the below image. After clicking on appropriate option you will be redirected to (http://wss.mahadiscom.in/wss/wss). Now you are at second step. As shown in below picture, select or click on 'View/Pay Bill' which is in left corner of picture shown by red arrow. You will be redirected to further process. Now you are redirected on the page which is shown in the following picture. On this page you will find three columns like consumer type, consumer no. and BU (Billing Unit). Consumer Number: In this box you have to enter your consumer number. You can find your consumer number on paper bill. Consumer number may be of 12 digits. BU:(Billing Unit): BU is called as Billing Unit or in simple language you can say that it is a circle code of a particular area. Suppose you are from Panvel then your BU will be 0311. You can find your BU (Billing Unit) on actual bill paper on top left corner before consumer number. You can also find your BU (Billing Unit) code from BU option by scrolling down as shown in following picture. After submitting consumer number and BU (Billing Unit) click on 'Submit' button. Now you will be redirected to bill page. On that bill page you will find total details about your bill payment like consumer number, BU/Circle Code, Bill month, Total consumption of electricity, Bill amount and Due date. For checking your previous bill history just click on 'View History' and you will find there your previous bill history. That's it you have done, just wait for further process and don't refresh payment page. For more information and details about benefits and conditions of online payment visit official website of MSEB / MSEDCL. Bill desk has been providing facilities of online bill payments of all kind like electricity, insurance, telephone etc. Bill desk providing online bill payment services from more than a decade. For using Bill desk facilities you have to register there on their site with your bank account. You will have to fill a form of Bill desk before to use of their services. Once you have registered to Bill desk you can use Bill desk services across the country. Modes of payment are credit card, debit card and bank account. The main competitor of Bill desk is Bill Junction. Bill Junction also providing online bill payment facilities for electricity, telephone, insurance etc from more than a decade. Same as Bill desk you will have to register first on Bill Junction with your current bank account to using Bill Junction. Once you register on Bill Junction, you can use their services across the country. Modes of payment are credit card/ debit card and bank account. Most of nationalized banks like SBI, ICICI, HDFC, Citi-Bank, and IDBI etc provide online bill payment facilities. Just go to your bank web portal, sign in your online banking account and add MSEB/MSEDCL account with it. That's it now you are able to pay online bill of MSEB/MSEDCL.